Shivaji Park situated in Dadar, is the largest park in the island city. 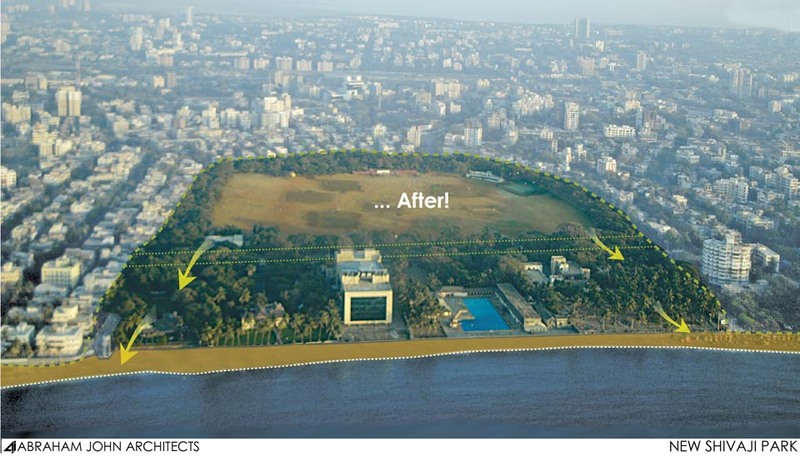 Shivaji Park is currently surrounded by streets on four sides which encloses the park within. The immediate edge of the park is simple low continuous curb (katta) that forms a makeshift seat. This edge is popular for social interactions enjoyed by young and old alike. This bustling park is separated from the sea by a road and public buildings. The side between Shivaji Park and Dadar beach is lined with multiple civic buildings with compound walls dividing the public spaces. 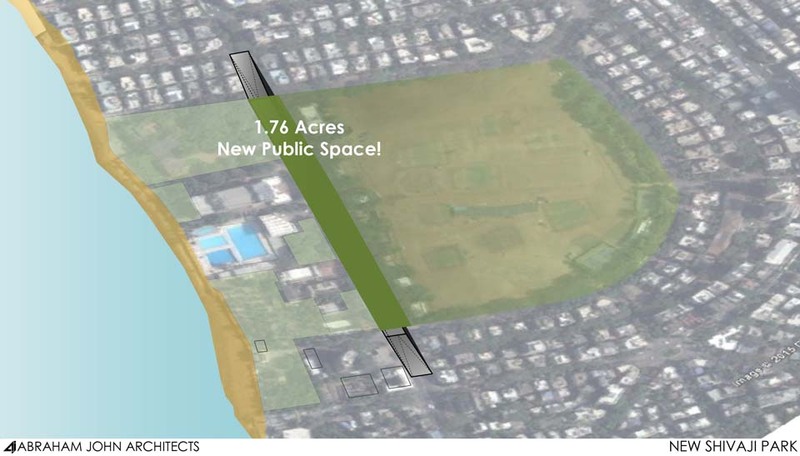 By proposing an underpass on the western edge, the beach becomes the fourth edge of the park. 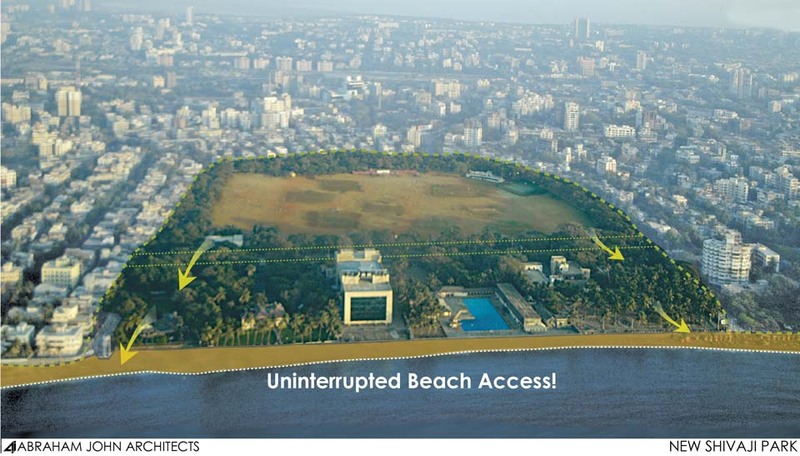 This New Shivaji Park thus gives an uninterrupted access to the beach. 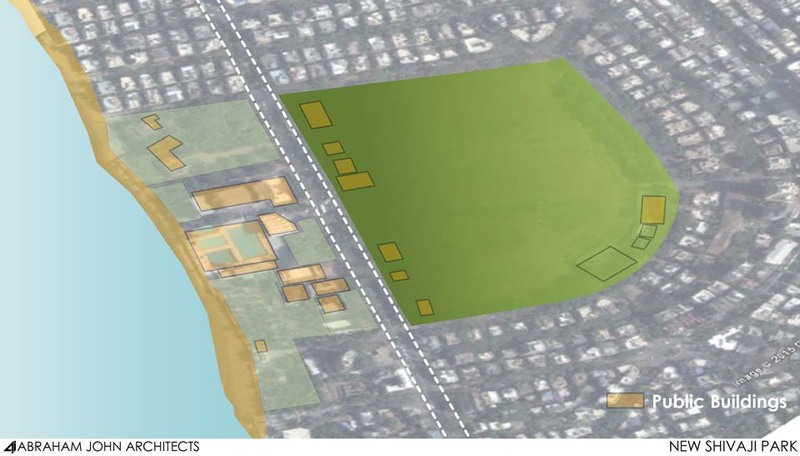 Making these spaces accessible and opening the sites up to the public, will give the citizens an uninterrupted access to the beach as well as to the public buildings. 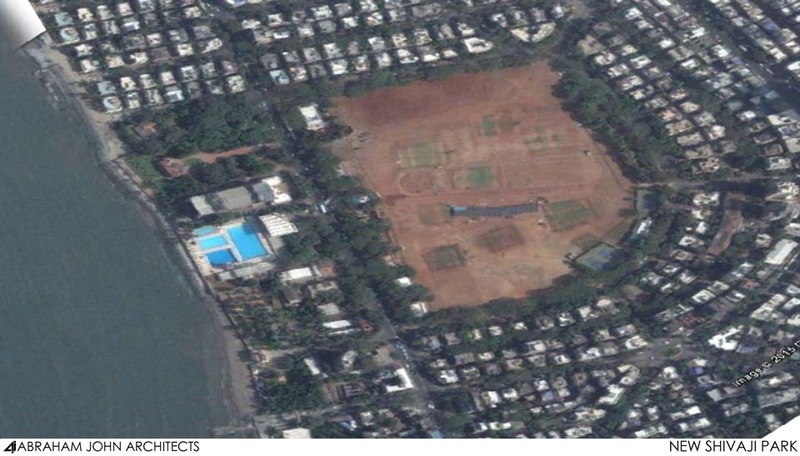 The New Shivaji Park includes the existing park and the long uninterrupted beach stretch, creating a much larger public space and creating a transitional experience for the citizens from the greens of the park to the vast openness of the sea.